Hafed has set up a Sugar Mill of 2500 TCD capacity alongwith incidental co-generation and 2 MW power exportable to state grid at Assandh with a approx cost of Rs. 80.00 crores during the year 2008. The sugarcane sowing area has been increased remarkably since its inception. During the crushing season 2013-14, Hafed Sugar Mill, Assandh crushed 33.26 lac qtls. sugarcane with 9.56% sugar recovery and achieved second position among the cooperative Sugar Mills of Haryana. Hafed Sugar Mill, Assandh has been awarded National Level 3rd prize in financial management for the year 2013-14 among the Co-operative Sugar Mills situated in India. Presently, 13500 acre sugarcane is available in the catchment area of Assandh mill during the current crushing season 2014-15. The target during the current crushing season of Hafed Sugar Mill, Assandh is 32 lac qtl. 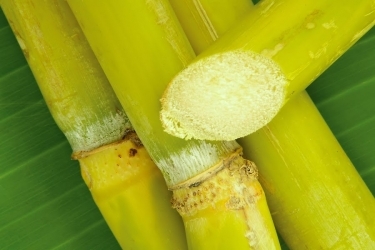 sugarcane crushing with 10 % sugar recovery.